For the football league system in England as a whole, see English football league system. The three leagues below the Premier League are known as the Championship, League One and League Two, with 24 clubs in each division (72 in total). Promotion and relegation between these divisions is a central feature of the League and is further extended to allow the top Championship clubs to exchange places with the lowest-placed clubs in the Premier League, and the bottom clubs of League Two to switch with the top clubs of the National League, thus integrating the League into the English football league system. 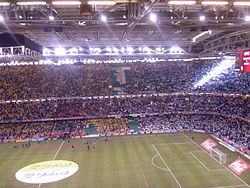 Although primarily a competition for English clubs, clubs from Wales – currently Swansea City and Newport County – also take part, while in the past Cardiff City, Wrexham, Merthyr Town and Aberdare Athletic have been members. The Football League was associated with a title sponsor between 1983 and 2016. As this sponsor changed over the years the league too has been known by various names. Starting with the 2016–17 season, the league has moved away from having a title sponsor, rebranding itself as the English Football League (EFL), in much the same way the Premier League is known as the "EPL" internationally. The English Football League is also the name of the governing body of the league competition, and this body also organises two knock-out cup competitions, the EFL Cup and the EFL Trophy. 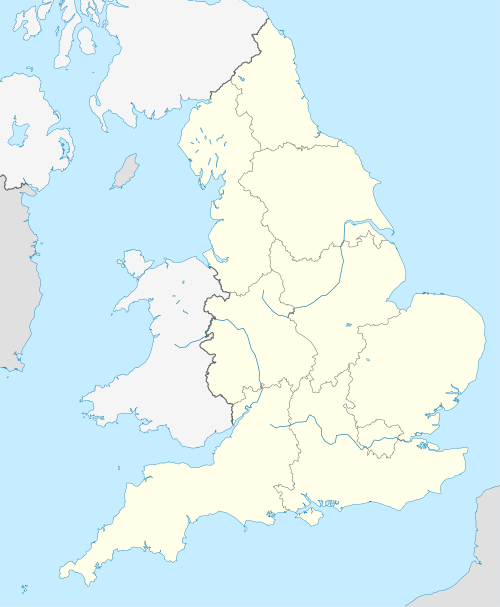 The operations centre of the Football League is in Preston, while its commercial office is in London. The commercial office was formerly based in Lytham St Annes, after its original spell in Preston. The Football League consists of 70 professional association football clubs in England and 2 in Wales. It runs the oldest professional football league competition in the world. It also organises two knockout cup competitions, the EFL Cup and EFL Trophy. 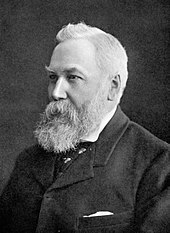 The Football League was founded in 1888 by then-Aston Villa director William McGregor, originally with 12 member clubs. Steady growth and the addition of more divisions meant that by 1950 the League had 92 clubs. Financial considerations led to a major shake-up in 1992 when, in a step to maximise their revenue, the leading members of the Football League broke away to form their own competition, the FA Premier League, which was renamed in 2007 as the Premier League. The Football League therefore no longer includes the top 20 clubs who belong to this group, although promotion and relegation between the Football League and the Premier League continues. In total, 136 teams have played in the Football League up to 2013 (including those in the Premier League, since clubs must pass through the Football League before reaching the former). The EFL's 72 member clubs are grouped into three divisions: the EFL Championship, EFL League One, and EFL League Two (previously the Football League First Division, Football League Second Division and Football League Third Division respectively; they were renamed for sponsorship reasons). Each division has 24 clubs, and in any given season a club plays each of the others in the same division twice, once at their home stadium and once at that of their opponents. This makes for a total of 46 games played each season. Since the 2004–05 season, penalties have existed for clubs entering financial administration during the season. If a club enters administration before 31 March of any given season, they will immediately be deducted 12 points; entering administration from 1 April onward will see the points deduction either held over until the end of the season (if the club finishes outside the relegation places), or applied the following season (if the club was relegated anyway). It is also required that a club exiting administration agree a Creditor's Voluntary Agreement, and pay in full any other footballing creditors. Failure to do either of these will result in a second, potentially unlimited (though in practise usually between 15 and 20) points deduction. The EFL organises two knock-out cup competitions: the EFL Cup (officially called the Carabao Cup for sponsorship reasons) and the EFL Trophy (officially called the Checkatrade Trophy also for sponsorship reasons). The EFL Cup was established in 1960 and is open to all EFL and Premier League clubs, with the winner eligible to participate in the UEFA Europa League. The EFL Trophy is for clubs belonging to EFL League One and EFL League Two. The organisation celebrated its 100th birthday in 1988 with a Centenary Tournament at Wembley between 16 of its member clubs. A director of Birmingham-based Aston Villa, William McGregor, was the first to set out to bring some order to a chaotic world where clubs arranged their own fixtures, along with various cup competitions. On 22 March 1888, he wrote to the committee of his own club, Aston Villa, as well as to those of Blackburn Rovers, Bolton Wanderers, Preston North End, Stoke and West Bromwich Albion; suggesting the creation of a league competition that would provide a number of guaranteed fixtures for its member clubs each season. His idea may have been based upon a description of a proposal for an early American college football league, publicised in the English media in 1887 which stated: "measures would be taken to form a new football league ... [consisting of] a schedule containing two championship games between every two colleges composing the league". 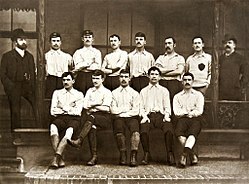 In 1890 Stoke were not re-elected to the league, and were replaced for the 1890–91 season by Sunderland, who won it in their second, third and fifth year. Stoke were re-elected for the 1891–92 season, along with Darwen, to take the league to 14 clubs. Unlike in most other Leagues in Europe, no single English club managed to remain an ever-present in the division during the one hundred and four years of its existence as the top division in the country. Everton come closest, missing just four seasons through relegation, and remain one of only three clubs in England to have played over 100 top-flight seasons, along with Aston Villa and Arsenal. The first ever Sunday EFL game was held on 20 January 1974 (11:30 kick off) and was played between 2nd Division rivals Millwall and Fulham at The Den. Millwall won 1-0. The first ever Sunday top flight game was between Chelsea and Stoke a week later. Beginning with the 1976–77 season, the clubs finishing level on points began to be separated according to goal difference (the difference between goals scored and goals conceded) rather than goal average (goals scored divided by goals conceded). This was an effort to prevent unduly defensive play encouraged by the greater advantage in limiting goals allowed. In the event that clubs had equal points and equal goal differences, priority was given to the club that had scored the most goals. There has been only one season, 1988–89, when this level of differentiation was necessary to determine the League champion, and this was the occasion of one of the most dramatic nights in League history, when Arsenal beat Liverpool 2–0 at Anfield in the last game of the season to win the League on this tiebreaker – by a single Michael Thomas goal in the final minute of the final game of the season. Both teams would finish with the same amount of goal difference, but Arsenal scored more goals during the season. In the Premier League era, the 2011–12 season also had the winner being determined by a tiebreaker; Manchester City finished with a better goal difference than Manchester United. Two clubs won their first League titles during the 1970s: founder members of the League Derby County (1971–72 and 1974–75) and Nottingham Forest (1977–78), both clubs managed by Brian Clough and Peter Taylor. Nottingham Forest's title in 1977–78 turned out to be the last time a first time champion won the First Division title during The Football League era before the First Division clubs formed the Premier League in 1992. The next first time League champion would be Leicester City in the 2015–16 season, the first during the Premier League era. In a similar vein, playoffs to determine promotion places were introduced for the 1986–87 season so that more clubs remained eligible for promotion closer to the end of the season, and at the same time to aid in the reduction over two years of the number of clubs in the First Division from 22 to 20. For the first two seasons, the playoffs were contested between the lowest placed team to avoid automatic relegation and three highest placed teams to miss out on automatic promotion in the division below, before it was altered from the 1988–89 season to include just the four clubs who had missed out on automatic promotion in the Second, Third and Fourth Divisions. 1986–87 was the first season of the decade where Football League attendances increased, helped by improved economic conditions and falling unemployment nationally. During the 1991–92 season, the First Division clubs resigned from the Football League en masse and on 20 February 1992, the Premier League was formed as a limited company working out of an office at the Football Association's then headquarters in Lancaster Gate. This meant a break-up of the 104-year-old Football League that had operated until then with four divisions; the Premier League would operate with a single division and the Football League with three. There was no change in competition format; the same number of teams competed in the top flight, and promotion and relegation between the Premier League and the new First Division remained on the same terms as between the old First and Second Divisions. However, following the formation of the Premier League, it became increasingly difficult for newly promoted clubs to establish themselves in the top flight. Whereas newly promoted teams had once normally survived for at least a few seasons in the old First Division, it was now the norm for at least one newly promoted club to be relegated straight back from the Premier League to Division One. In the nine seasons that followed the formation of the Premier League, at least one newly promoted club suffered this fate – and in the 1997–98 season it happened to all three newly promoted teams. There were exceptions, however; including Blackburn Rovers, who were promoted to the Premier League on its formation and were champions three years later, and Newcastle United, who were promoted in 1993 and finished in the top six for the next four seasons, finishing Premier League runners-up twice. A Upon the breakaway of the First Division in 1992 to form the Premier League, Barclays became a secondary sponsor in the newly formed top division, becoming the primary sponsor from 2001 until 2016. In 2001 the league signed a £315 million deal with ITV Digital, but in March 2002 the channel was put into administration by its parent companies when the league refused to accept a £130 million reduction in the deal. In November 2007 the league announced a new domestic rights deal worth £264 million with Sky and the BBC for the three seasons from 2009 to 2012. It covers Football League, League Cup and Football League Trophy matches and the full range of media: terrestrial and pay television, broadband internet, video-on-demand and mobile services. The deal represents a 135% increase on the previous deal and works out at an average of over £1.2 million per club per season, though some clubs will receive more than others. Sky will provide the majority of the coverage and the BBC broadcast 10 exclusively live matches from the Championship per season and the semi-finals and finals of the League Cup. In 2012, Sky Sports signed a new exclusive deal to broadcast all matches after the BBC pulled out of the deal owing the financial cuts that the BBC Sport department was going through. However the BBC signed a new deal to still broadcast The Football League Show highlights programme. In May 2017, it was announced that Talksport had secured exclusive national radio rights to the English Football League. It gave them the ability to broadcast up to up 110 EFL fixtures a season. Many Football League matches are also broadcast to local audiences via BBC Local Radio stations or by commercial stations. **The programme was split into two shows part way through the 2015/16 season, and renamed 'The Championship' for Championship highlights, and 'Goal Rush' for League One and League Two highlights. Below are listed the member clubs of the English Football League for the 2018–19 season. Since 1888 in total there have been 142 Football League members. Originally the bottom club(s) of the bottom division(s) had to apply for re-election each year, which was voted by all the other members. Walsall holds the record for the most reapplications for the Football League. Former Football League clubs include all 20 of the current members of the Premier League along with various relegated, removed or defunct clubs. Following the breakaway of the 22 clubs in the First Division to form the FA Premier League, the Football League no longer included the top division in England, and the Football League champions were no longer the national champions of England. Therefore, the Second Division became the First Division, the Third Division became the Second Division and the Fourth Division became the Third Division. 1: Due to financial irregularities, Swindon were prevented from taking their place in the First Division, which was awarded to the losing finalists, Sunderland. ^ "Rebranded Football League changing its name to English Football League as EFL unveils new logo". The Daily Telegraph. London. 12 November 2015. Retrieved 7 August 2016. ^ "Contact The Football League". English Football League. ^ "Premier League and Barclays Announce Competition Name Change" (PDF). Premier League. Archived from the original (PDF) on 4 March 2009. Retrieved 22 November 2006. ^ Tony Brown (27 February 2013). "125 Years of the Football League in Numbers". The Football League. Archived from the original on 11 September 2014. Retrieved 11 September 2014. ^ "The History of The Football League". The Football League. Archived from the original on 11 April 2008. Retrieved 30 November 2013. ^ The Leeds Mercury Issue 15289, 9 April 1887. ^ a b Butler, Bryon (1998). 100 Seasons of League Football. England: Queen Anne Press. p. 392. ISBN 1-85291-595-1. ^ "SCFC History". The Oatcake. 19 July 2000. Archived from the original on 24 October 2005. Retrieved 8 April 2009. ^ "Football Club History Database – Football League 1894–95". fchd.info. ^ "Football Club History Database – Football League 1895–96". fchd.info. ^ "Football Club History Database – Football League 1896–97". fchd.info. ^ "Football Club History Database – Football League 1897–98". fchd.info. ^ "20 January 1974: The first Sunday football". The Guardian. 23 January 2010. Retrieved 29 December 2018. ^ "In the matter of an agreement between the Football Association Premier League Limited and the Football Association Limited and the Football League Limited and their respective member clubs". HM Courts Service. 2006. Archived from the original on 27 September 2007. Retrieved 8 August 2006. ^ "A history of the Premier League". Premier League. Archived from the original on 18 November 2011. Retrieved 4 January 2008. ^ "A History of The Premier League". Premier League. Archived from the original on 18 November 2011. Retrieved 22 November 2007. ^ "ITV Digital goes broke". BBC. 27 March 2002. Retrieved 10 August 2014. ^ "Football League to be re-named the English Football League". The Football League. 12 October 2015. Retrieved 10 January 2017. ^ "Coca-Cola and the Football League Sign New Deal". The Coca-Cola Company. 12 March 2007. Archived from the original on 7 June 2009. Retrieved 26 May 2009. ^ "Football League names Npower as new sponsor". BBC News. 16 March 2010. Retrieved 13 September 2010. ^ "Sky Bet to sponsor the Football League". The Football League. 18 July 2013. Archived from the original on 21 July 2013. Retrieved 18 July 2013. ^ "Football Business Awards 2015". Archived from the original on 18 November 2015. ^ Football League Agrees Historic Deal with Sky Sports and BBC Archived 15 December 2007 at the Wayback Machine, www.football-league.premiumtv.co.uk, 6 November 2007. ^ "EFL Official Website". English Football League. ^ "Podcast Top of the League". The Football League. Archived from the original on 6 December 2008. Retrieved 25 March 2009. ^ "Quest becomes new home of EFL highlights". Retrieved 21 June 2018. ^ "Play-off plans shelved". BBC Sport. 5 June 2003. Retrieved 25 March 2009.